Hey, this is interesting.... I found this video on YOUTUBE 'bout JERRY LEE LEWIS's near-death experience. WOW. He's always been a favorite. Well, did you know Jerry Lee had a near-death experience? I didn't, that kinda thing's always been very interesting to me, so I'll post a video of Jerry Lee talking 'bout it at the end of this post. OK? Hope you'll enjoy it too. I guess, this death? occured way back in 1981. His stomach ruptured. 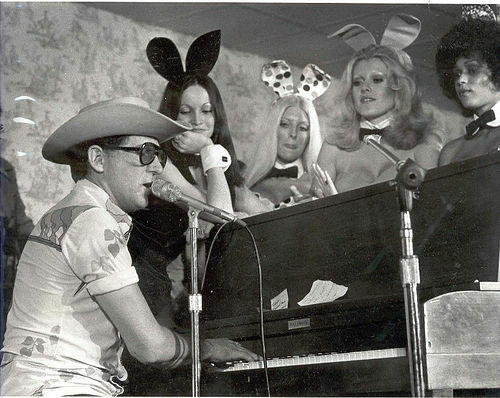 Jerry Lee was always a kinda wild guy....you know, partying, lotsa drinking and stuff. He never sang calm, quiet tunes either...always put his whole heart and soul into every song...yelling, screaming and dancin' with his keyboard. I loved it...a cool show. BUT, that's really hard on your body, when you're doing it day in and day out. So, Jerry's body needed a REST.And, got his whole attention this way,....'Good Idea,Body' 'cause we all want Jerry Lee here for along time. He said this did get his attention, and he stopped partying and being so C-R-A-Z-Y. ...Yea. My Steve does 'WHOLE LOTTA SHAKIN'' every once in awhile, a famous Jerry Lee Lewis tune. Guess, Steve did it way back in 'CHEESEBURGER DELUXE' days in Seattle in 1972-1975. See link HERE. NOTE: Steve quit 'CHEESE' in 1975, but the band continued 'til 76, then disbanded.